REV. 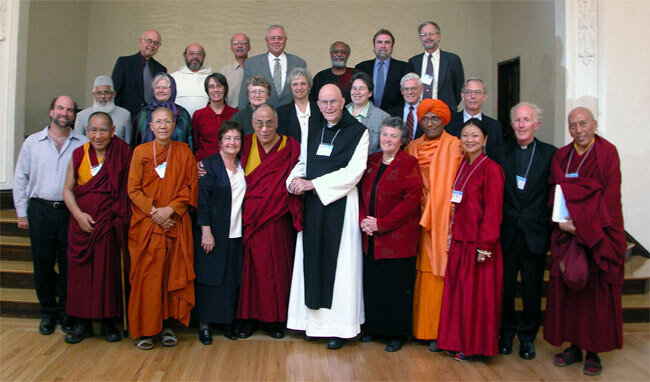 MARCUS BRAYBROOKE: "SHELLS INTO BELLS"
In a world where religion too often is used to justify division, hatred, and violence, the Peace Councilors offer an alternative: The example of leaders from different religious communities working together in practical ways to relieve suffering and to make the world whole. "The Peace Council is committed to working together for the common needs of the whole community of life. The Council will build bridges through the message of non-violence, compassion, human rights, and universal responsibility, individual and collective." Peace Council Campaign wins prestigious CINE, ADDY and National TELLY awards! Sr. Joan Chittister on "The Ministry of Money"
Dr. Joseph C. Hough, Jr. on "The Religious Situation in America"